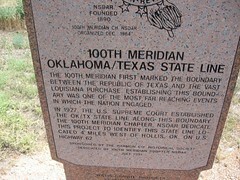 The 100th meridian first marked the boundary between the Republic of Texas and the vast Louisiana Purchase establishing this boundary was one of the most far reaching events in which the nation engaged. 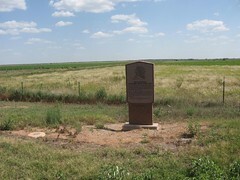 In 1927 the U.S. Supreme Court established the OK/TX state line along this boundary. 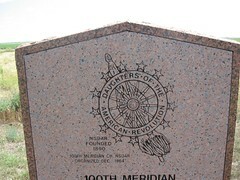 The 100th meridian chapter, NSDAR dedicated this project to identify this state line located 4 miles west of Hollis, OK, on U.S. highway 62. 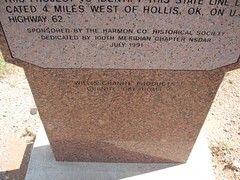 5 miles west of Hollis, Oklahoma, between the Oklahoma and Texas state line signs. 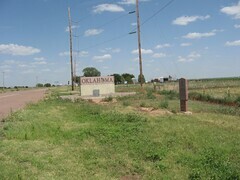 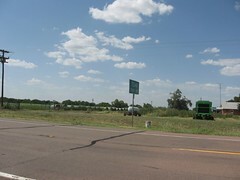 South side of road in front of Oklahoma state sign.